Images of the Great Salt Lake represent the cultural and historic nature of this location and the significance of the City’s name, derived from this beautiful and unique lake. 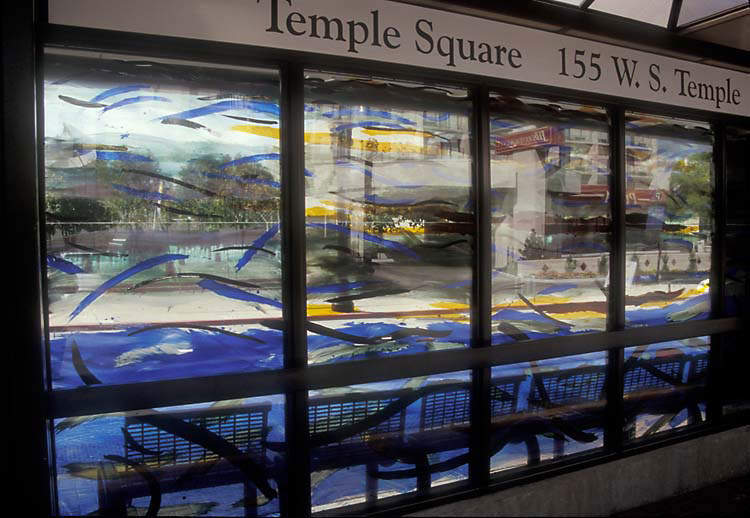 The windscreens were hand painted with vitreous paint and the glass was then fired, evoking the colors of the lake. 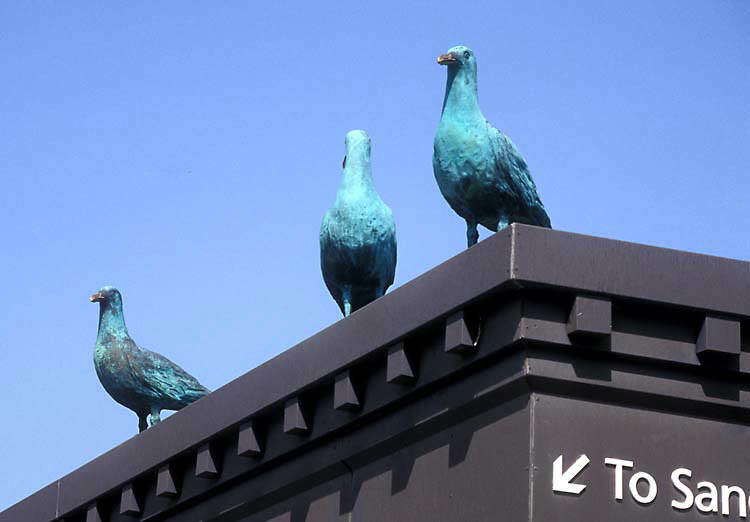 Red and gray brick pavers on the surface of the platform have been laid in a wave pattern and a flock of bronze seagulls is perched atop the canopies. Bonnie Sucec is one of the most highly regarded modernist artists in Utah. She earned an MFA from the University of Utah, with earlier study at the California College of Arts & Crafts and Brigham Young University. She is also a teacher and arts activist, and she has been selected for several public art commissions in Utah. Sucec is represented by Phillips Gallery, Salt Lake City. Day Emil Christensen is a sculptor and mixed media artist. He graduated from BYU with a B.A. in Art and Design and a Master in Landscape Architecture from Harvard Graduate School of Design. In 2008, Christensen was awarded a grant from the Utah Arts Council as part of the Individual Artists Services Grants program.